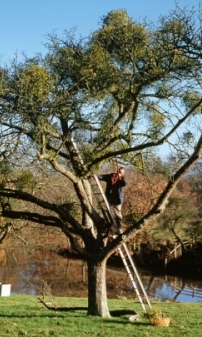 With the mistletoe trading season now looming large, the various online mistletoe traders have begun jostling for position. There are a few changes to the line-up this year, with maybe more to appear soon. But it’s mostly the estabilshed outfits, most less than 4 years old (online mistletoe trading is relatively new). This group includes my own trading site, wading back into mistletoe supply after taking a break from it last season. But Tenbury isn’t the only place with mistletoe – it’s just the traditional trading centre in a wider area that has a lot of mistletoe – so maybe more generic names are inevitable. 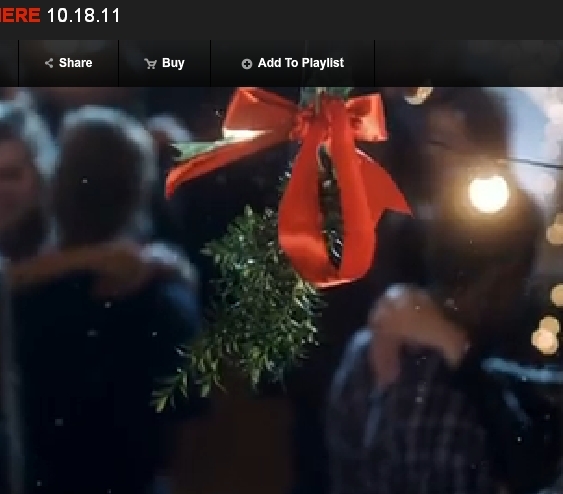 Well, Mr Bieber’s Mistletoe Single (see previous blog entry) is now out – at least on video preview. …that there’s no mistletoe in it. There is, eventually, at 3 minutes and 3 seconds into the 3 minutes and 10 seconds long video, a piece of vegetation hanging from the ceiling. Now, even allowing for North American mistletoe species, that ain’t mistletoe. Looks more like Rosemary to me. Which is a herb more usually associated with stuffing a bird rather than kissing one. Online mistletoe news over the last week or so has been dominated by the Bieber, who, I want to state right now, is not one of my favourite artists – but then I’m not a star-struck teenage girlie (just thought I’d get that clear too). The reason? His new album is called Under the Mistletoe and the single is called Mistletoe. But judging by the much-hyped (see video below) cover art the young (17), clean-livin’ (v religious apparently) Justin doesn’t seem to quite get mistletoe – where is it? why isn’t he glancing up at it? and why aren’t his lips pursed ready for those kisses? Maybe he’s just too young. The single, and the inevitable video, are out soon, so maybe then we’ll see if he understands the kissing thing.